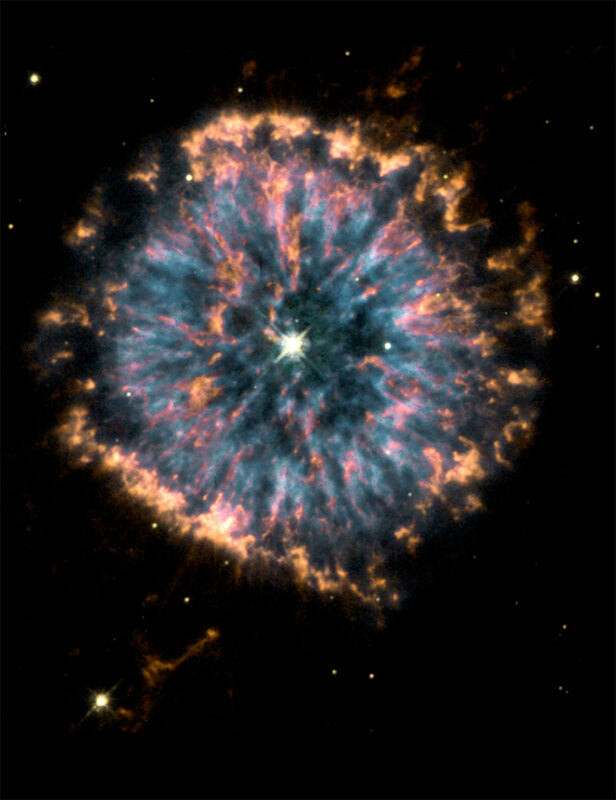 Planetary nebulae do look simple, round, and planet-like in small telescopes. But images from the orbiting Hubble Space Telescope have become well known for showing these fluorescent gas shrouds of dying Sun-like stars to possess a staggering variety of detailed symmetries and shapes. This composite color Hubble image of NGC 6751 is a beautiful example of a classic planetary nebula with complex features and was selected to commemorate the of Hubble in orbit. The colors were chosen to represent the relative temperature of the gas - blue, orange, and red indicating the hottest to coolest gas. Winds and radiation from the intensely hot central star (140,000 degrees Celsius) have apparently created the nebula's streamer-like features. The nebula's actual diameter is approximately 0.8 light-years or about 600 times the size of our solar system. 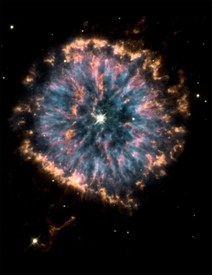 NGC 6751 is 6,500 light-years distant in the constellation Aquila.